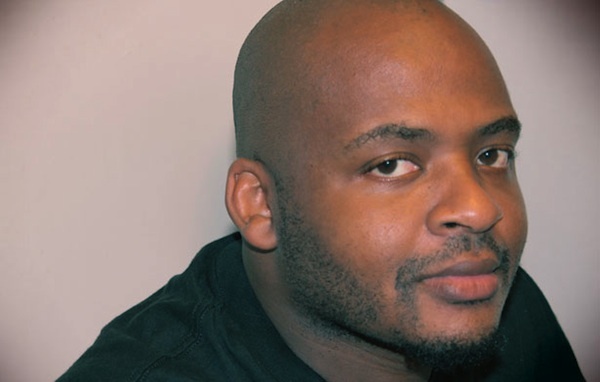 In recognition of this richly deserved award, we're re-posting this Q&A with Kiese Laymon, whose Long Division and How to Slowly Kill Yourself and Others in America were published by Agate in summer 2013. Like most of the kids I grew up with, I wanted to spend most of my time outside playing football or basketball, or wrestling. Unlike most of the kids I grew up with, my mother wouldn’t let me go outside unless I read “classic” books—A Tale of Two Cities, Treasure Island, and later, Absalom, Absalom! Then I’d have to write essays about what was so great about those books. I got good at it not because I liked those books but because I wanted to go outside and play with my friends. By the time I was 18, I’d read all those classic books my mother made me read, and I’d also read a ton of books by black Southern writers. I loved some of those books but I was also hypercritical of them. I had a professor, Calvin Hernton, who said the best way to critique art was through the creation of alternative art. The book was born from this impulse. I had started two different stories, both of which were ultimately concerned with the limits of love and history. I wanted to create a book within a book that was really two love stories, possibly told from the same consciousness. I also wanted to create a book that was in conversation with Kindred, Invisible Man, The Adventures of Huckleberry Finn, The Bluest Eye, The Catcher in the Rye, The Color Purple, Black Boy, The White Boy Shuffle, and all those “classics” my mother would make me read before I was allowed to go outside. What does being a Southern writer mean to you? Being a Southern writer means that I write to and from a group of people that a lot of other American writers neglect. I feel a responsibility to the richest artistic region on Earth. In my opinion, Southern literature and Southern music have shaped America more profoundly than work from any other region. Who are your heroes, on the page and elsewhere? B.B. King, Alice Walker, Mahalia Jackson, Richard Wright, Jesmyn Ward, Outkast, William Faulkner, Catherine Coleman, Fannie Lou Hamer, James Baldwin, and all those kids who died fighting for my freedom in Mississippi. Your 2012 Gawker essay, “How To Slowly Kill Yourself and Others in America,” received a huge amount of attention when it was first published. Why do you think it struck such a chord among so many people? I thought a lot of people would enjoy the essay because of its musicality, content, and pace, but I didn’t think it would stick with so many people. I knew it was something that we haven’t seen a lot of on the Internet, especially in terms of my decision to write it in present tense. I also think that people were really ready for a different expository approach to the American gun and race narrative. How much of your own experience is reflected in the novel? My mother had me when she was pretty young, and I was sent to my grandmother’s house in rural Mississippi whenever I was too much for my mother to handle. I spent a lot of time at Grandma’s just watching, listening to her interact with the craziest, most amazing folks I’d ever met. I also spent a lot of time playing in the woods across the road from her house. One summer, I found this hole that I convinced myself was a time tunnel. I was too afraid to really explore the hole, but I was sure that it was my portal to the future. The grandmothers in the book are really different from my own grandmother, and I’m really different from the City characters we meet, but the woods in Long Division are the same woods I played in as a child. What was the most difficult part about writing Long Division? The most difficult part was finding the right way to distinguish the 1985 City from 2013 City. The narrative voices needed to be similar but they also needed to differ due to changes in pop culture, technology, and the passage of time. I wanted their relationships to the language of love and heartbreak to be fairly distinguishable. There’s a point early in the book where City says to the reader, “That felt like love to me.” Simple sentence. The 1985 City, who’s much less rhetorically sophisticated, just isn’t capable of that kind of absolute earnestness, at least not initially. The second most difficult part was writing the final scene with Baize. It scared me. I didn’t want to write it. What role does humor play in the novel and in your writing in general? I don’t trust people or writing that are afraid of laughter. I think this book is dark in many ways, filled with critiques of race, gender, geography, and the nation as a whole. But I also hope people will think it’s a crazy funny book. Some of the humor is “look at me” stuff, but most of it, I hope, grows organically out of the character and narrative. There’s this really serious part in the book where Coach Stroud says to City, “You walk around here like a li’l head buster. Just remember that you got a head, too.” Coach is so sincere. And in that moment, City is genuinely afraid Coach is about to chop him in his esophagus. I’ve reread and rewritten that section hundreds of time, and it’s still funny to me, though neither of the characters think it’s funny at the time. This book is for Americans who were teenagers in 2013, 1985, or 1964. It’s a book for lazy writers, ambitious readers, and all those people who feel like they’ve never been written to before.